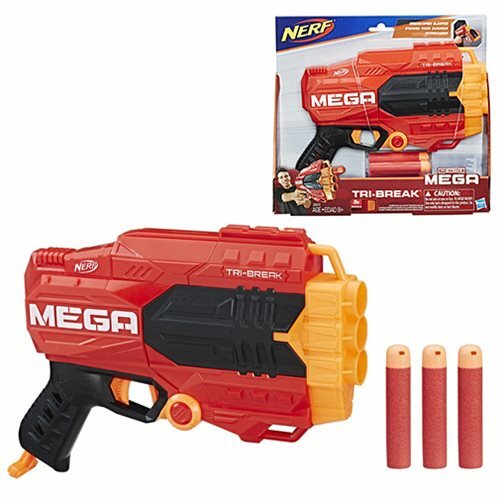 Break into Nerf Mega battling with the Tri-Break blaster that features a break-open, 3-dart barrel. Swing open the barrel on this single-shots blaster, and load 3 Nerf Mega Whistler darts inside. Close the barrel, prime the blaster, then pull the trigger to send a dart screaming through the air! Break into big blasting with the Nerf N-Strike Mega Tri-Break blaster that comes with 3 Nerf Mega Whistler darts. Ages 8 and up.